Georges Braque (13 May 1882 – 31 August 1963) was a French painter and sculptor. He was one of the French Fauve painters, circa 1906. From 1908 he initiated, in close cooperation with Pablo Picasso, the first step of Cubism. I couldn't portray a women in all her natural loveliness.. ..I haven't the skill. No one has. I must, therefore, create a new sort of beauty, the beauty that appears to me in terms of volume of line, of mass, of weight, and through that beauty interpret my subjective impression. Nature is mere a pretext for decorative composition, plus sentiment. It suggests emotion, and I translate that emotion into art. I want to express the absolute, not merely the factitious woman. In art progress consists not in extension but in the knowledge of its limits. One must beware of a formula good for everything, that will serve to interpret the other arts as well as reality, and that instead of creating will only produce a style, or rather a stylization. The arts which achieve their effect through purity have never been arts that were good for everything. Greek sculpture (among others) with its decadence, teaches us this. In art progress does not consist in extension, but in the knowledge of limits. Limited means often constitute the charm and force of primitive painting. Extension, on the contrary, leads the arts to decadence. The subject is not the object; it is a new unity, a lyricism which grows completely from the means. Art is polymorphic. A picture appears to each onlooker under a different guise. Speaking purely for myself, I can say that it was my very acute feeling for the matière, for the substance of painting, which pushed me into thinking about the possibilities of the medium. I wanted to create a kind of substance by means of brush-work. But that is the kind of discovery which one makes gradually, though once a beginning had been made other discoveries follow. Thus it was that I subsequently began to introduce sand, sawdust and metal filings into my pictures. For I suddenly saw the extent to which colour is related to the substance.. .So my great delight was the 'material' character which I could give to my pictures by introducing these extraneous elements. In short, they provided me with a means of getting further away from idealism in 'representing' the things with which I was concerned. It is the limitation of means that determine style, gives rise to new forms and makes creativity possible. unsourced variant translation: I made a great discovery. I don't believe in anything anymore. Objects do not exist for me, except that there is a harmonious relationship among them, and also between them and myself. When one reaches this harmony, one reaches a sort of intellectual void. This was everything becomes possible, everything becomes legitimate, and life is a perpetual revelation. This is true song. Tactile space separates us from objects, as opposed to visual space, which separates objects from one another. I have spent my life trying to paint the former kind. By using a white paint applied to the canvas I make a napkin. But I am sure the white shape is something conceived before knowing what it was to become. This means that a certain transformation has taken place.. .In a painting, what counts is the unexpected. I am always working on a number of canvases at one time, eight, ten.. ..I take years to finish them, but I look at them each day.. .You see the advantage of not working from real life – the apples would be rotten long before I completed my canvas.. .I find that it is important to work slowly. Anyone who looks at such a canvas will follow the same path the artist took, and he will experience that it is the path which counts more than the outcome of it, and that the route taken has been the most interesting part. I started above all by producing still-lives because in nature there is a tactile space, I would say almost manual. Picasso and I said things to each other during those particular years [c. 1908 -1913] that nobody would any longer know how to say, that nobody would be able to understand any.. ..things that would be incomprehensible, and which gave us so much pleasure. You put a blob of yellow here, and another at the further edge of the canvas: straight away a rapport is established between them. Colour acts in the way that music does, if you like.. .There is more sensitivity in technique than in the rest of the picture. It is the act of painting, not the finished painting. Take the birds which you'll have noticed in so many of my recent paintings. I never thought them up, they just materialized of their own accord, they were born on the canvas; that is why it is absurd to read any sort of symbolic significance into them. I would say that it was 'poetry' which distinguishes the cubist paintings which Picasso and I arrived at intuitively from the lifeless sort of painting which those who followed us tried, with such unfortunate results, to arrive at theoretically. I will try to explain what I mean by metamorphosis. For me no object can be tied down to any sort of reality. A stone may be part of a wall, a piece of sculpture, a lethal weapon, a pebble on a beach or anything else you like.. ..when you ask me whether a particular in one of my paintings depicts a woman's head, a fish, a vase, a bird, or all four at once, I can't give you a categorical answer, for this 'metamorphosic' confusion is fundamental to the poetry. There are certain mysteries, certain secrets in my own work, which even I don't understand, nor do I try to do so.. ..Critics should help people see for themselves; they should never try to define things, or impose their own explanations, though I admit that if – as nearly always happens – a critic's explanations serve to increase the general obscurity that’s all to the good. French poets are particularly helpful in this respect. The whole Renaissance tradition is antipathic to me. The hard-and-fast rules of perspective which it succeeded in imposing on art were a ghastly mistake which it has taken four centuries to redress; Cézanne and after him Picasso and myself can take a lot of credit for this.. ..scientific perspective forces the objects in a picture to disappear away from the beholder instead of bringing them within his reach as painting should. At that time I was very friendly with Picasso. Our temperaments were very different, but we had the same idea. Later on it became clear, Picasso is Spanish and I am French; as everyone knows that mean a lot of differences, but during those days the differences did not count... We were living in Montmartre, we used to meet every day, we used to talk.. .In those years Picasso and I said things to each other that nobody will ever say again, that nobody could say any more.. .It was rather like a pair of climbers roped together. I felt dissatisfied with traditional perspective. Merely a mechanical process, this perspective never conveys things in full. It starts from one viewpoint and never gets away from it. But the viewpoint is quite unimportant. It is though someone were to draw profiles all his life, leading people to think that a man has only one eye.. .When one got to thinking like that, everything changed, you cannot imagine how much! I considered that the painter's personality should be kept out of things, and therefore pictures should be anonymous. It was I who decided that pictures should not be signed, and for a time Picasso did the same. I thought that from the moment someone else could do the same as myself, there was no difference between the pictures and they should not be signed. Afterwards I realized it was not so and began to sign my pictures again. Picasso had begun again anyhow. I realized that one cannot reveal oneself without mannerism, without some evident trace of one's personality. But all the same one should not go too far in that direction.. The painting is finished when it has erased the idea. We [ Picasso and Braque], were living in Montmartre, we saw each other every day.. ..We were like two mountaineers roped together. One day I noticed that I could go on working art my motif no matter what the weather might be. I no longer needed the sun, for I took my light everywhere with me. What particularly attracted me [in his painting 'Still-life with Musical instruments', 1908 – 1909].. ..was the materialization of this new space that I felt to be in the offing. So I began to concentrate on still-life's, because in the still-life you have a tactile, I might almost say a manual space.. .This answered to the hankering I have always had to touch things and not merely see them. It was this space that particularly attracted me, for this was the first concern of Cubism, the investigation of space.. ..In tactile space you measure the distance separating you from the object, whereas in visual space you measure the distance separating things from each other. This is what led me, long ago, from landscape to still-life. ...when objects shattered into fragments appeared in my painting about 1909; this for me was a way of getting closest to the object.. .Fragmentation helped me to establish space and movement in space. Colour could give rise to sensations which would interfere with our [Braque & Picasso's, in the start of Cubism] conception of space. Colour came into its own with papiers collés.. ..with these works we [Braque, and a little later Picasso, started to make 'collage art', circa 1912] succeeded in dissociating colour from form, in putting it on a footing independent of form, for that was the crux of the matter. Colour acts simultaneously with form, but has nothing to do with form. I learned very early [Albers was ten years old] how to make imitation of wood grain. This is something I have in common with Georges Braque. Braque also learned very early from his father how to imitate marble or wood grain. So I could easily make the appearance of oak or walnut on pine. That is very easy; a very simple technique. And I learned how to imitate marble. I never made such a good joke as Braque did. When he was in the Mediterranean he fooled his friends. He painted a rowboat that had wood on one side and marble on the other side. You see, when he'd row out of the city it looked as if he were in a boat of a different material than when he came back, you see, one side was imitation wood and the other side was imitation marble. Quote by Josef Albers in: 'Oral history interview with Josef Albers', conducted by Sevim Fesci, 22 June – 5 July 1968, for the 'Archives of American Art", Smithsonian Institution, n.p. On August 2, 1914, I took Braque and Derain to the Gare d'Avignon [they were drafted as a soldier for World war 1.] I never saw them again [not literally in fact, but the close relation between Picasso and Braque was ended]. 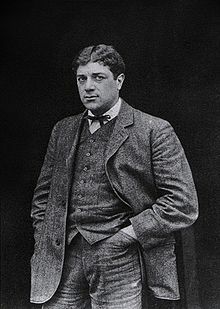 ..they [ Picasso and Braque] began working together [c. 1908], each understood and accepted the perspectival ambiguity implicit in Cézanne's colored planes, which they saw as acting simultaneously in two different positions: one an illusion, a colored equivalent for the position of the natural object in depth,;the other actual, as an area for color on the surface of the picture.